"Bella" is a really happy, exuberant girl who lives in Tasmania with Maria, Bill, Sara & Joseph, along with the Midniara Belgian crew. 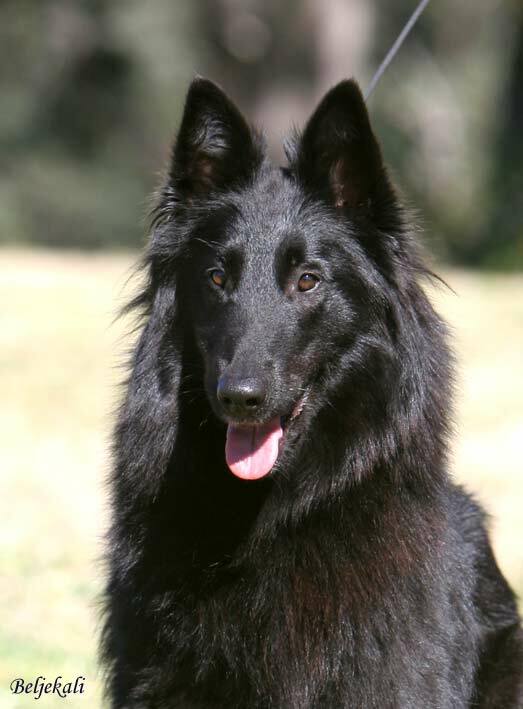 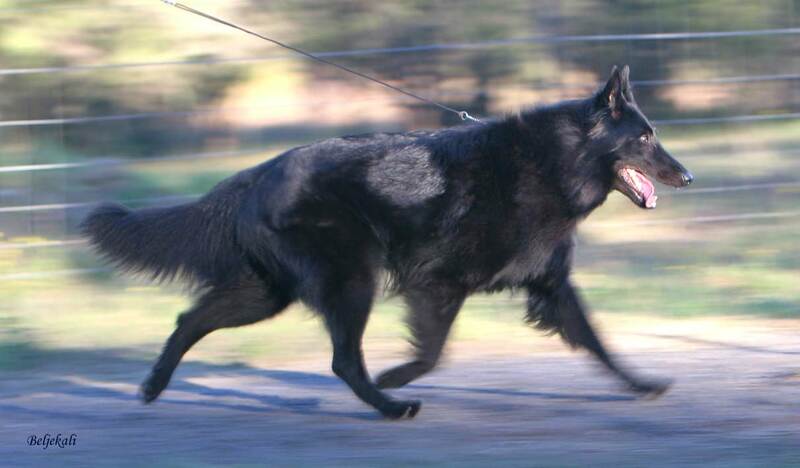 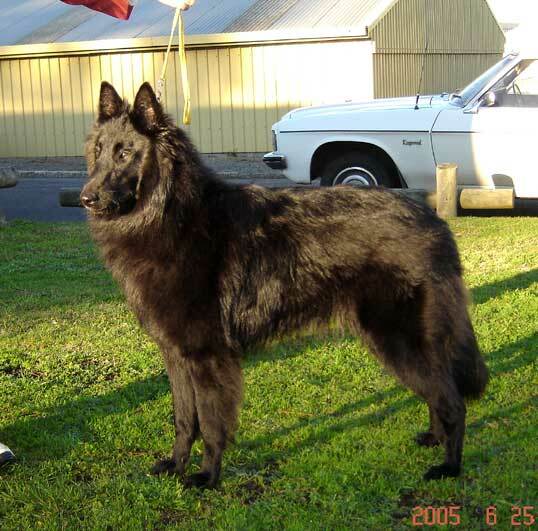 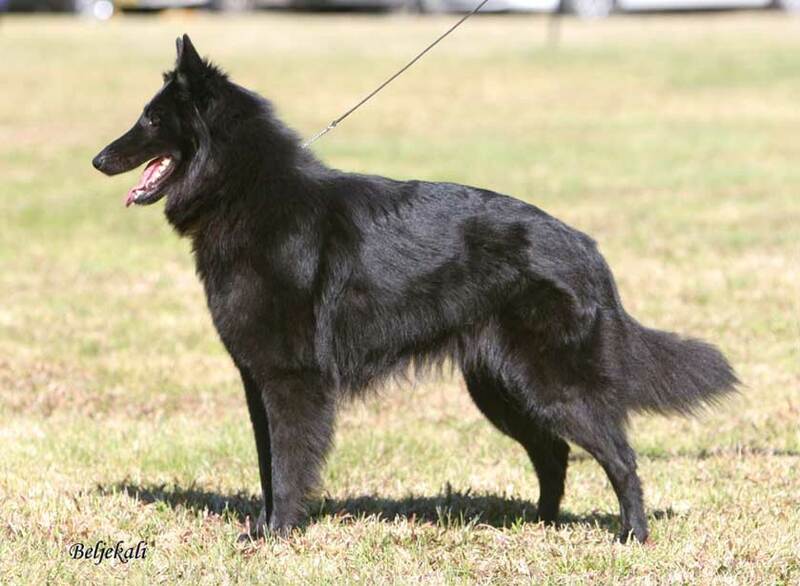 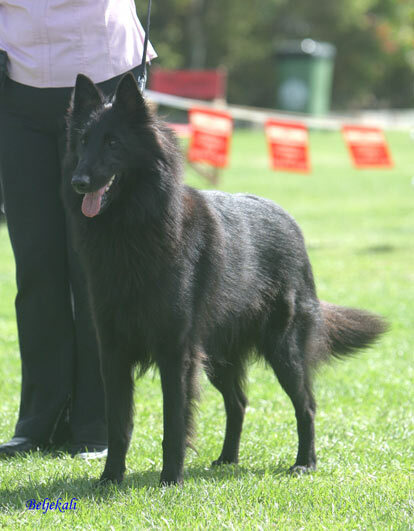 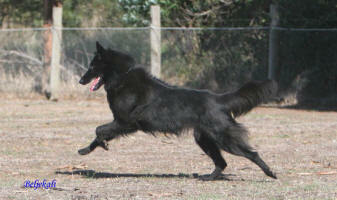 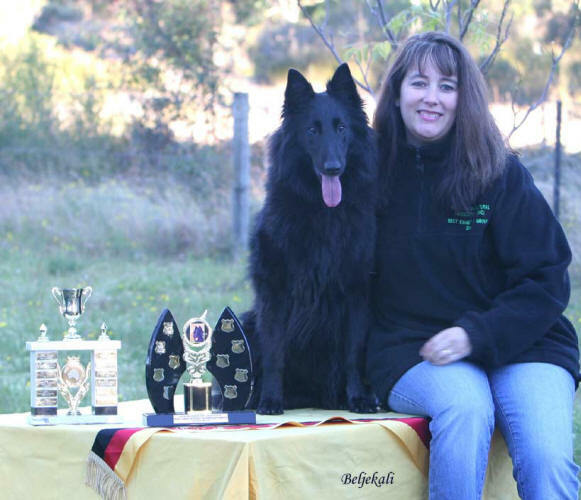 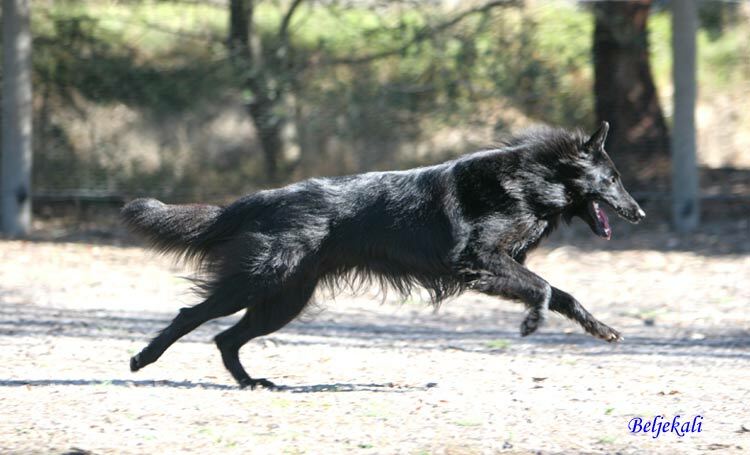 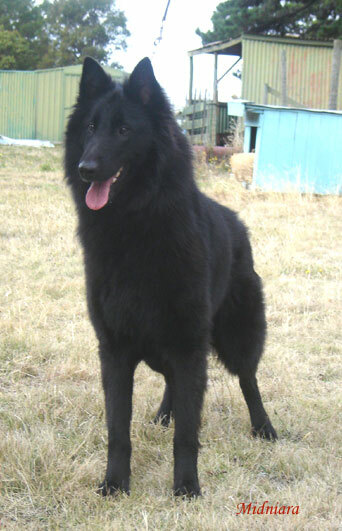 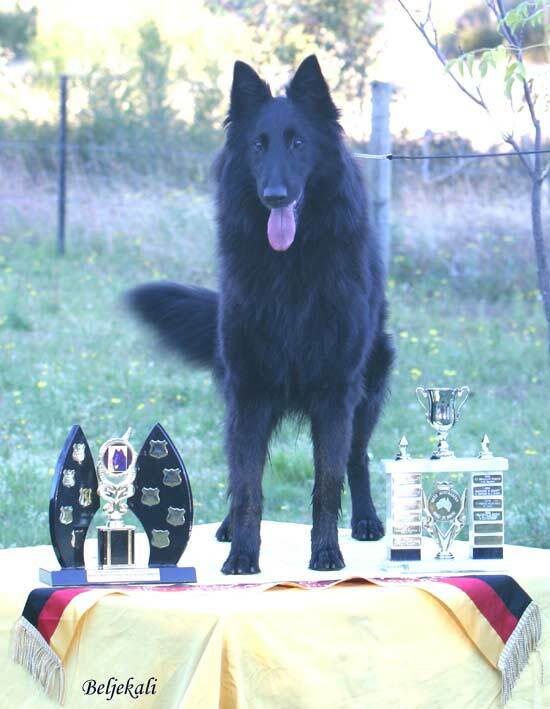 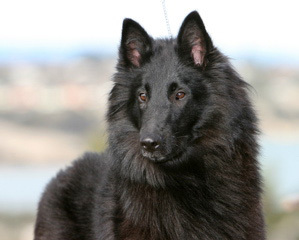 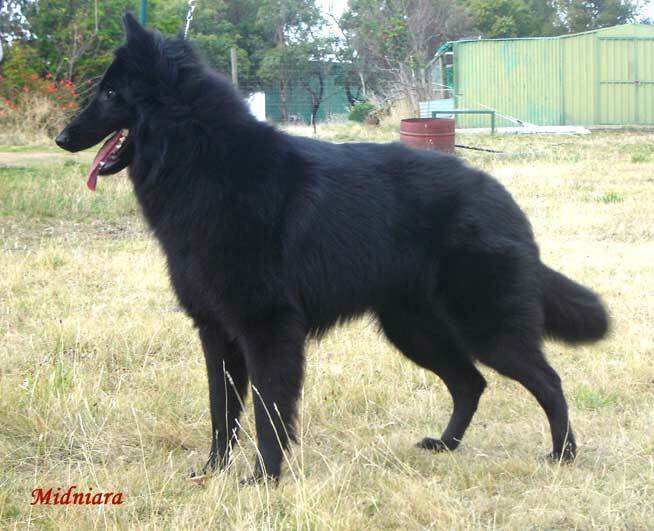 Bella possesses excellent type and temperament and thanks to Maria, Bella is proudly representing Beljekali and the Belgian Shepherd breed to a very high standard in Tasmania. 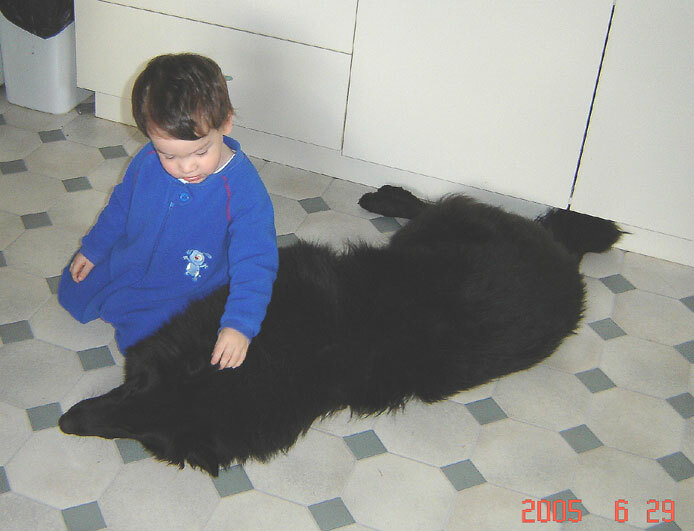 Apart from loving to play all day with the 4-leggeds, Bella's other love is to snuggle and cuddle and laze around inside with Joseph (see below). 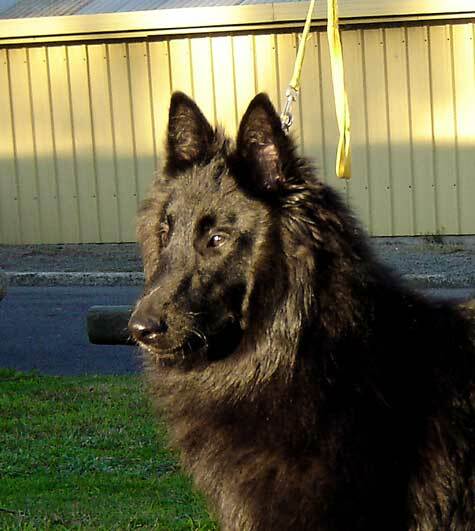 Bella is from Beljekali's lovable and sweet natured "Nefre" and handsome big Swedish boy "Sharif". 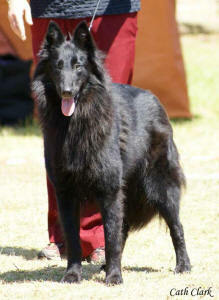 Bella is a descendant and grandchild from Beljekali's foundation female Grand Champion Darkfire Vegas Vacation, "Jeddah". 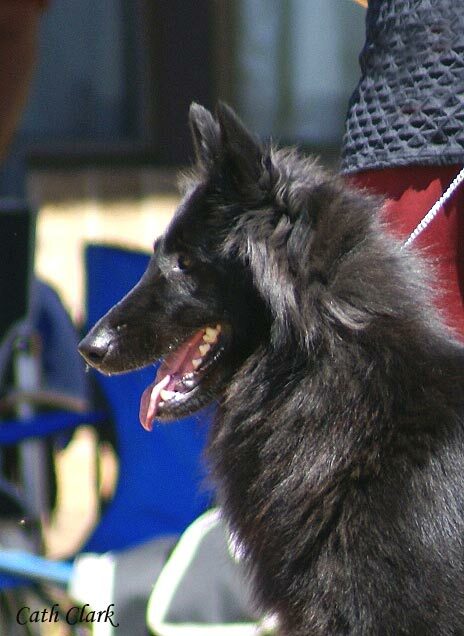 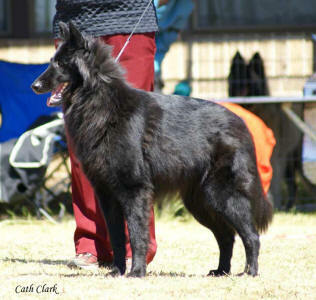 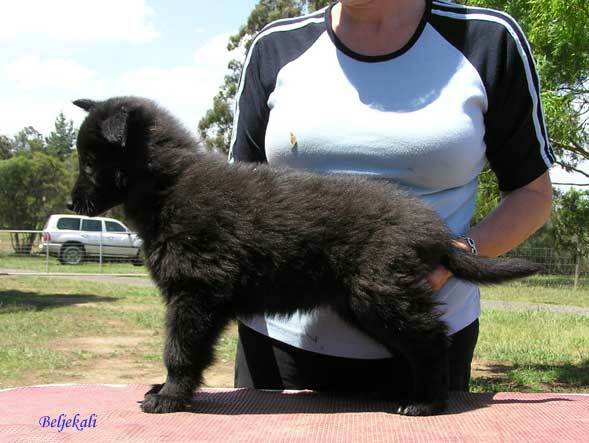 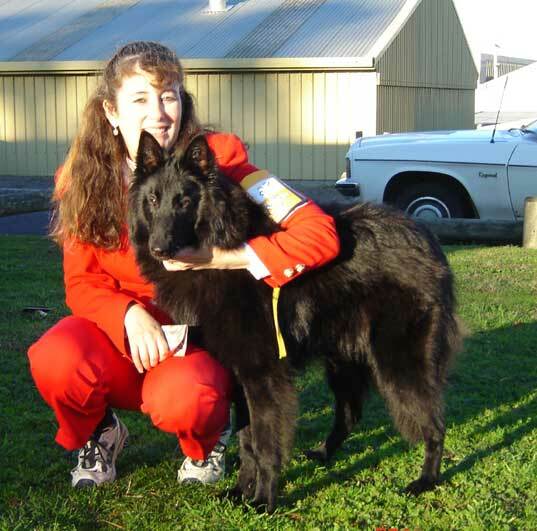 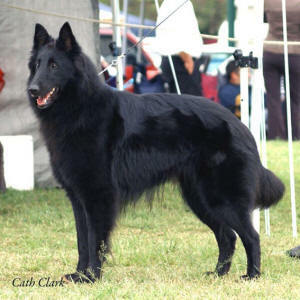 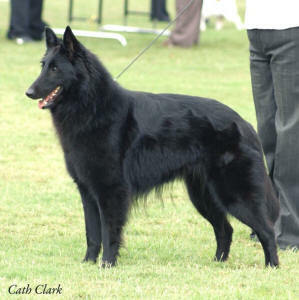 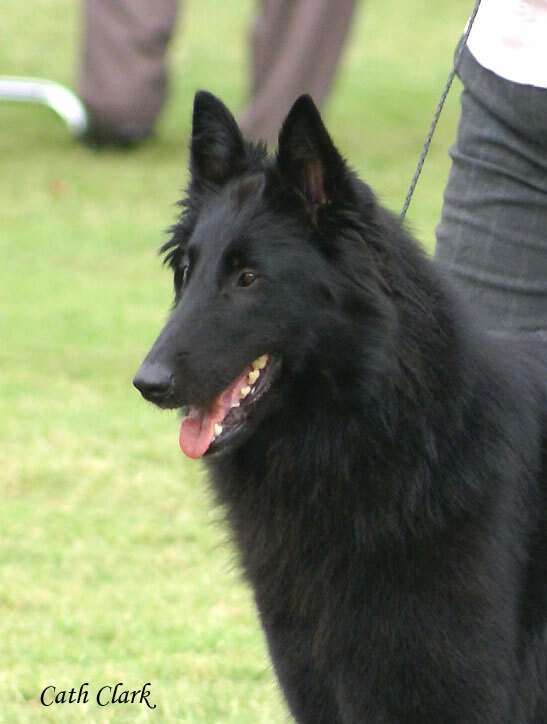 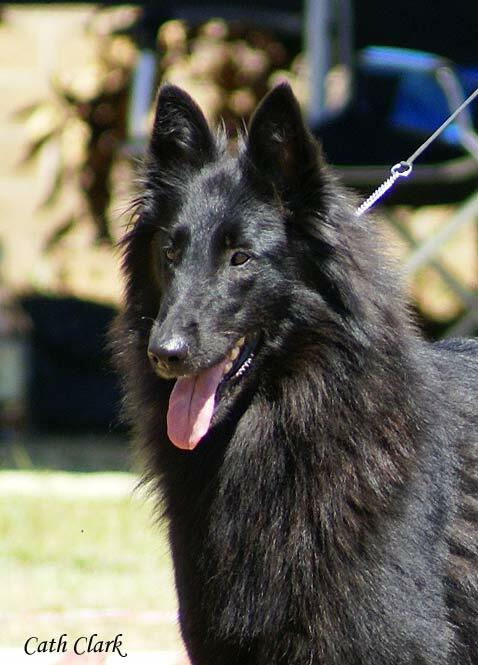 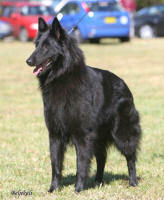 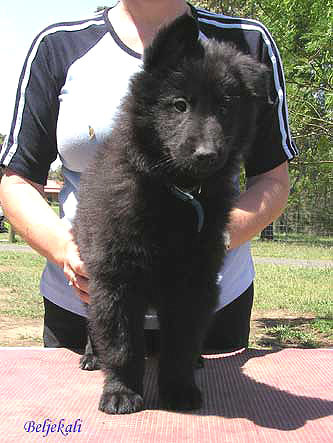 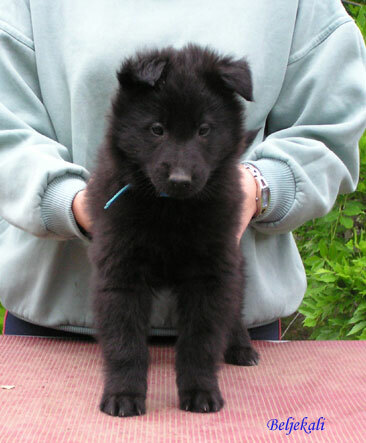 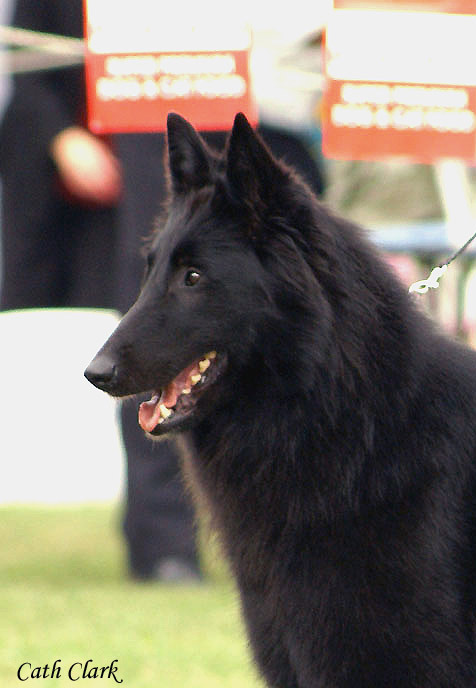 June 2008 ~ The Qld Belgian Shepherd Dog Club Breed Speciality Show! 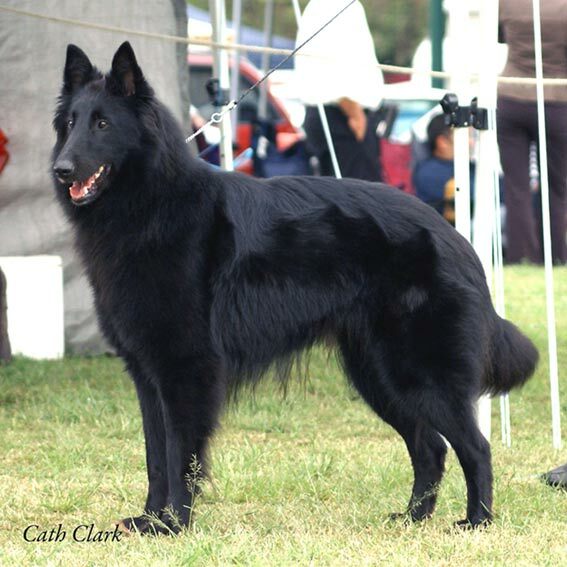 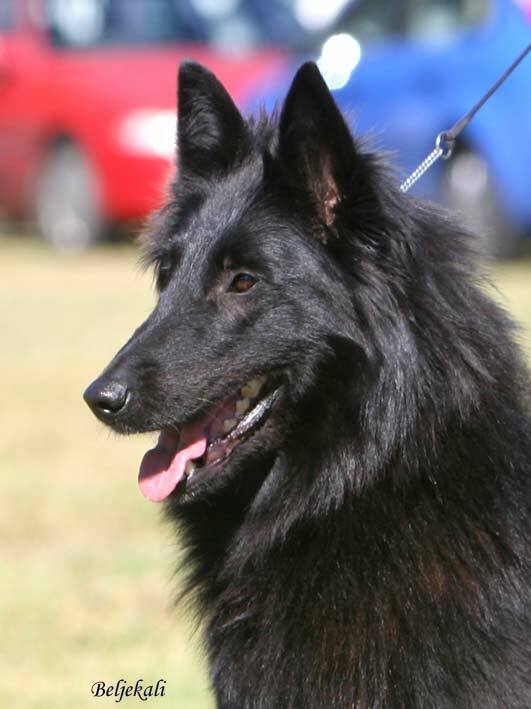 Many thanks to Cath Clark for the superb pictures of the stunning "Bella"
October 2007 ~ The Illawarra & SE Belgian Shepherd Dog Club of NSW Breed Speciality Show! 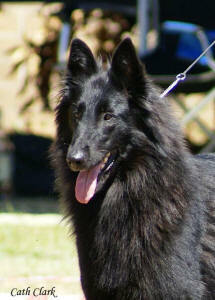 4-5 August 2007 ~ The Belgian Shepherd Dog Club of NSW Breed Speciality Show! 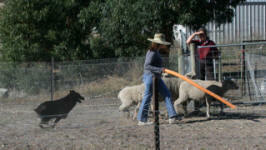 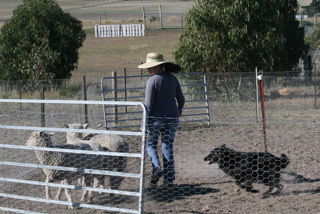 Bella gains her Herding Instinct Certificate!!! 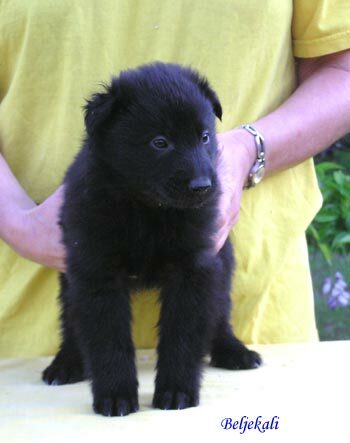 CONGRATS TO BELLA & MARIA!